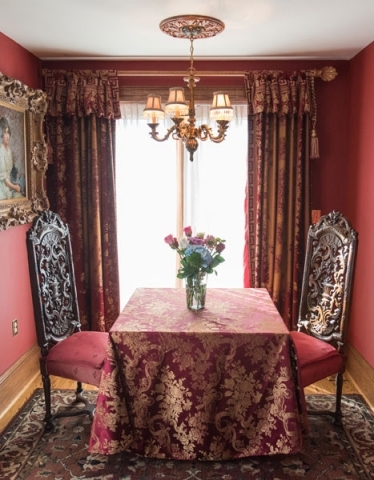 Plan a romantic getaway at our Maryland B&B with a stay in the Tudor Room. 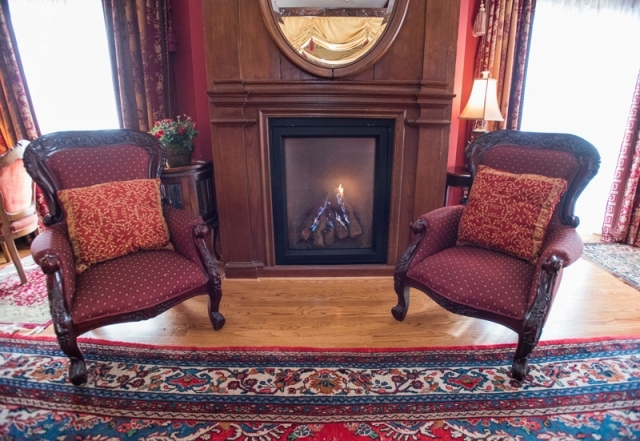 Warmed by a massive fireplace of antique English oak, this first-floor guest room is handicap-accessible. 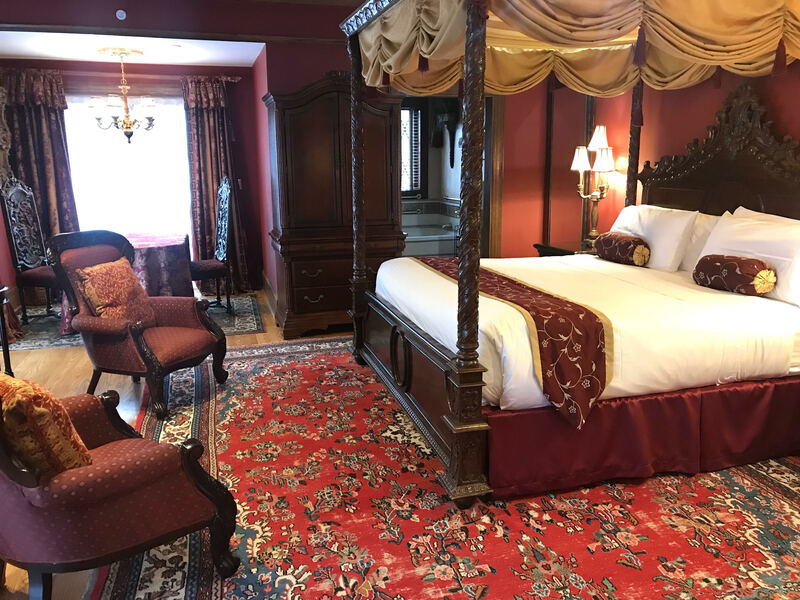 A grand, king-size bed is draped with a gold canopy. 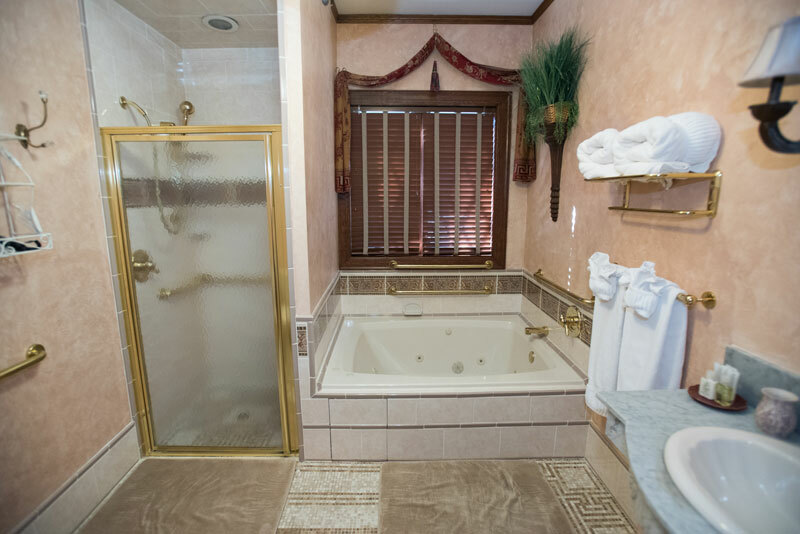 The elegant bathroom is highlighted by hand-laid marble mosaic tiles and features a double whirlpool tub and separate walk-in shower. 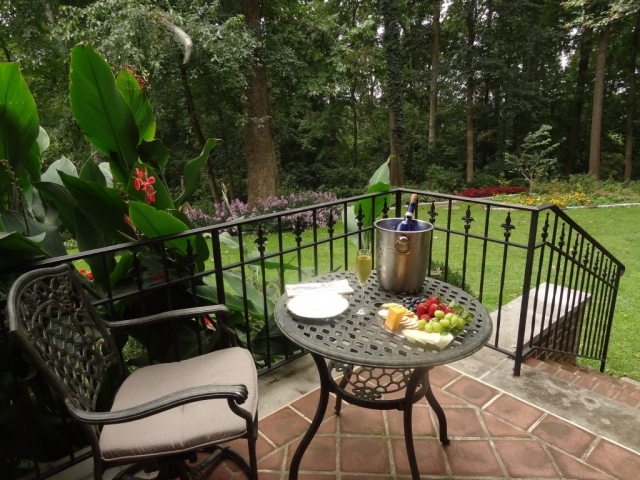 Enjoy the view from two wrought-iron balconies overlooking the back gardens. Choose to have breakfast on your own private porch leading to the enchanting shade gardens and white, marble gazebo. All bed and breakfast room accommodations include a full breakfast served from a menu the next morning. Sip your morning coffee beside the dining room gas fireplace, in the garden atrium or in the privacy of your guest room. To view our breakfast menus, click here.